Aethon is expanding its line of autonomous mobile robots (AMRs) and will unveil the newest TUG robot, the T4, at MOTEK 2018 in Stuttgart, Germany. Aethon can be found in Hall 7 at booth 7420. 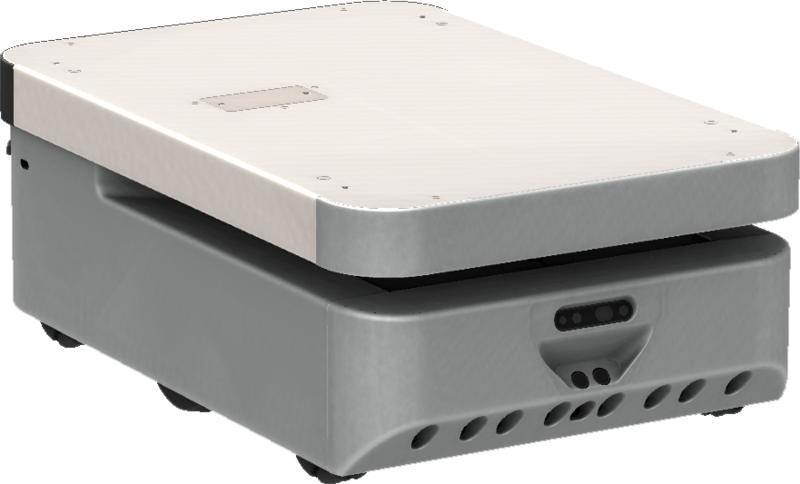 The T4 is the answer for industrial, manufacturing and logistics customers who need a smaller, faster and integration-ready mobile robot. System integrators and distributors will value the T4 as an improved mobility platform due to its ease of deployment, cost-effectiveness and open connectivity options. The T4 builds on Aethon’s TUG product line by providing system integrators greater flexibility through its built-in connections to allow the integration of active payloads such as tools or conveyors. Aethon will be encouraging third parties to develop solutions to pair with the T4 platform. 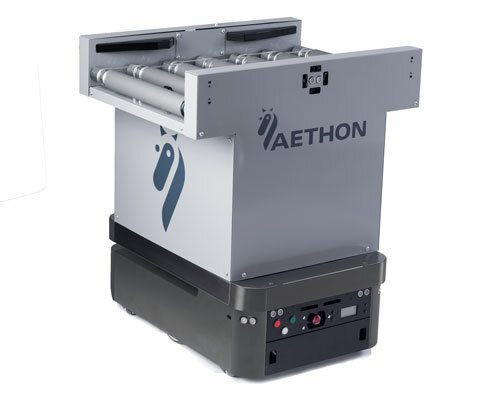 As a catalyst and example for developers, at MOTEK 2018, Aethon will demonstrate a powered conveyor attached to its mobile chassis interacting with fixed automation equipment. The T4 will pair with existing automation equipment even in tight spaces due to its center-pivot 17 inch / 44 cm turning radius. It will haul loads up to 250 lbs / 113 kg and is capable of traveling on sloped areas up to 5 degrees thanks to its unique independent suspension system. The T4 can also travel at speeds up to 2 m/s. It will automatically pick up and drop off carts, avoiding the labor costs of cart-tending required by competing AMRs. “The T4 is a big step forward for Aethon in the industrial segment. The needs of our manufacturing customers, integrators and distributors drove this innovation and we are thankful for the insight they provided. We are excited to add T4’s open platform design to our existing product line, giving our customers a wide range of capabilities in industrial settings,” says Aldo Zini, CEO of Aethon. Like all of Aethon’s AMRs, the T4 will autonomously navigate a facility using pre-defined maps and routes along with delivery and pickup points. It does not require complex or fixed infrastructure and can be installed easily in a facility with existing Wi-Fi coverage. The T4 leverages Aethon’s existing fleet management capabilities to ensure an installation with a multitude of robots will scale and is operationally efficient. The T4 also integrates with building systems and elevators, and retains the safety and reliability track record for which Aethon is known. All of these advantages result in a faster ROI and more reliable operations.